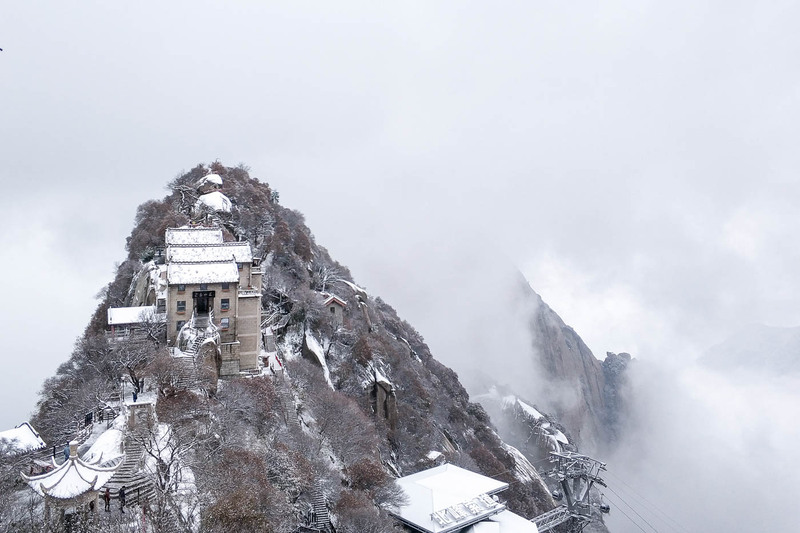 It is certainly not a good idea to hike one of the most dangerous mountains in China during heavy snowfall, but the sight to behold is simply out of the world. Setting foot on abrupt stairways that followed a ridge like a knife’s edge was already a crazy idea, with snow falling heavily, every small step required extra effort and vigilance. Descending the never ending and slippery steps brought tears and laughters to hikers as everyone was seen walking like 90 year olds, slipping and falling countless time was already part of the descend, no one had the luxury to escape that day.